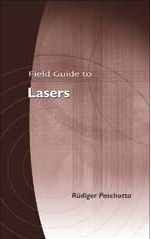 The RP Photonics Buyer's Guide contains 32 suppliers for optical modulators. Ask RP Photonics for advice concerning various types of optical modulators and their applications. An optical modulator is a device which can be used for manipulating a property of light – often of an optical beam, e.g. a laser beam. Depending on which property of light is controlled, modulators are called intensity modulators, phase modulators, polarization modulators, spatial light modulators, etc. A wide range of optical modulators are used in very different application areas, such as in optical fiber communications, displays, for active Q switching or mode locking of lasers, and in optical metrology. Acousto-optic modulators are based on the acousto-optic effect. They are used for switching or continuously adjusting the amplitude of a laser beam, for shifting its optical frequency, or its spatial direction. Electro-optic modulators exploit the electro-optic effect in a Pockels cell. They can be used for modifying the polarization, phase or power of a beam, or for pulse picking in the context of ultrashort pulse amplifiers. Electroabsorption modulators are intensity modulators, used e.g. for data transmitters in optical fiber communications. Interferometric modulators, e.g. Mach–Zehnder modulators, are often realized in photonic integrated circuits for optical data transmission. Fiber-optic modulators can exploit various physical principles. They can be true fiber devices, or contain fiber pig-tailed bulk components. Liquid crystal modulators are suitable for, e.g., optical displays and pulse shapers. They can serve as spatial light modulators, i.e. with a spatially varying transmission, e.g. for displays. Chopper wheels can periodically switch the optical power of a light beam, as required for certain optical measurements (e.g. those using a lock-in amplifier). Of course, that kind of device cannot provide arbitrary modulation controlled with an electrical input signal. Micromechanical modulators (which are microelectromechanical systems = MEMS), e.g. silicon-based light valves and two-dimensional mirror arrays, are particularly useful for projection displays. Bulk-optical modulators, e.g. of the electro-optic type, can be used with large beam areas, and handle correspondingly large optical powers. On the other hand, there are fiber-coupled modulators, often realized as a waveguide modulator with fiber pigtails, which can easily be integrated into fiber-optic systems.